New Zealand’s productive systems and natural ecosystems depend on a robust biosecurity framework to exclude invasive pests, diseases and weeds. Risk assessment is an important component of this biosecurity framework identifying potential threats posed by invasive organisms to specific plants and plant systems before they arrive in New Zealand. A major challenge in risk assessment is determining the potential impact of a pest or disease when it is not present in New Zealand. The International Plant Sentinel Network (IPSN), a network of botanic gardens and arboreta, aims to provide early warning of new and emerging tree and plant pests and diseases. 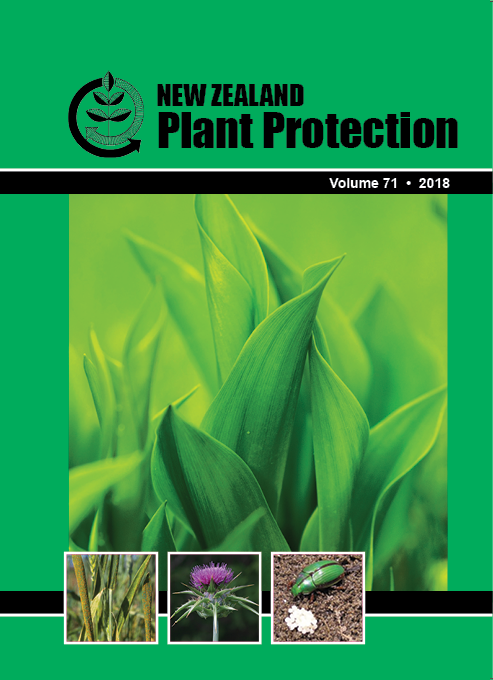 The utility of the IPSN in providing information on the potential impact of myrtle rust for New Zealand’s indigenous Myrtaceae. Botanic gardens were identified around the world with New Zealand Myrtaceae and where myrtle rust is present. This is a first step in an ex-post study on the use of sentinel or expatriate plants as a biosecurity risk-assessment tool. The approach could be extended to other plant pathogens or pests to explore their impact on New Zealand indigenous or cultivated plant species overseas.